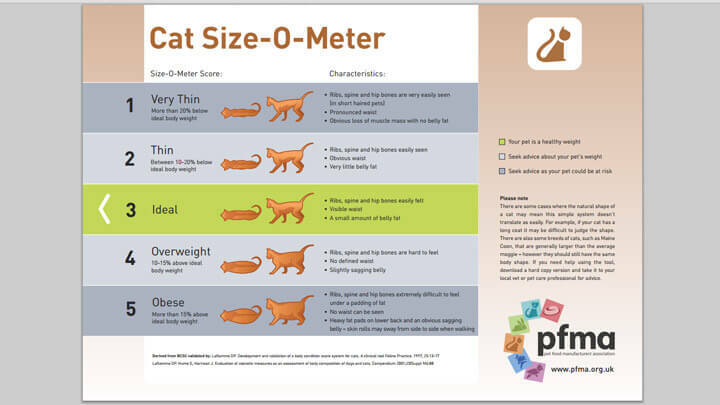 It's really difficult for owners to check if their pet is overweight and it's a touchy subject! 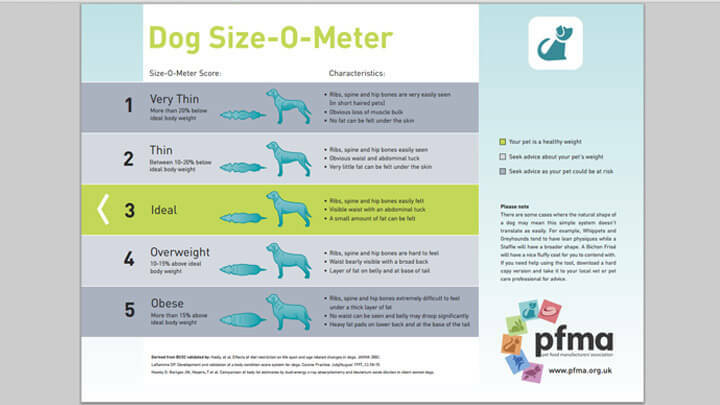 We have developed Pet Size-O-Meters (user friendly versions of Body Condition Score Charts) for professionals to hand to owners or stick up in clinics. 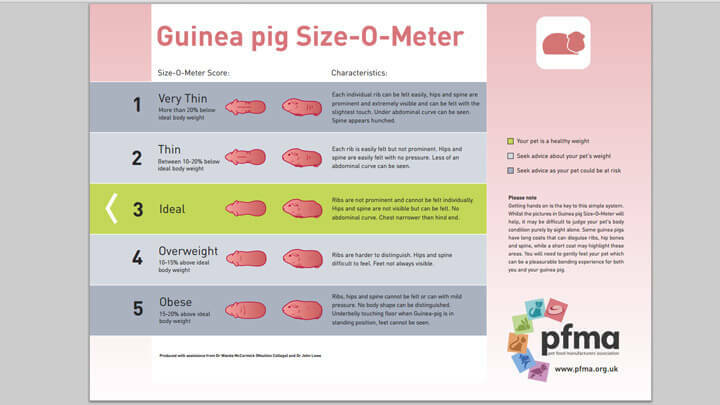 So far, we have developed them for dogs, cats, rabbits, birds and guinea pigs. 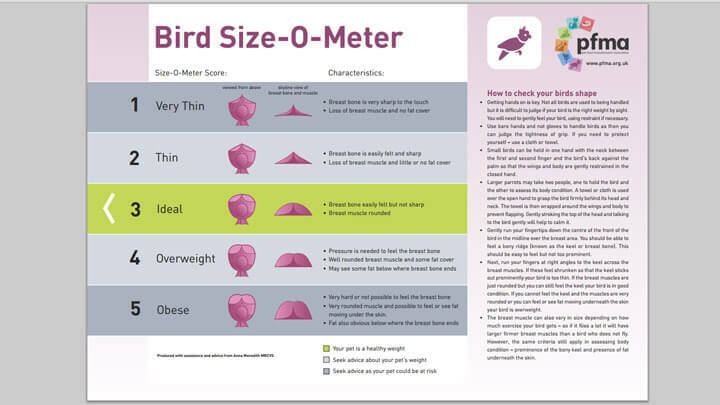 You can scroll through our selection below, click to download for free and print at home or in the surgery, pet shop, welfare charity or educational establishment. We have produced our materials for educational purposes and we ask that you don't chance the format or use them to sell any particular product. 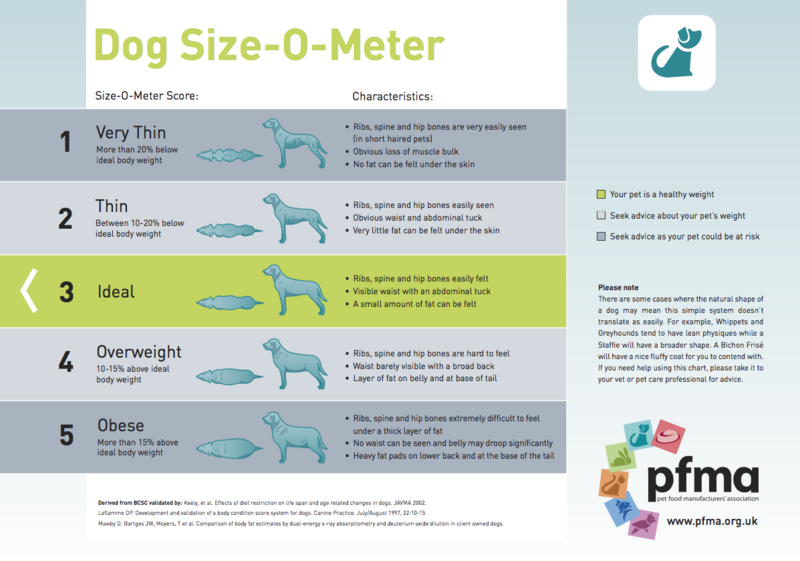 These are incredibly popular among pet owners and every year over 200,000 are distributed by rehoming centres to new owners! 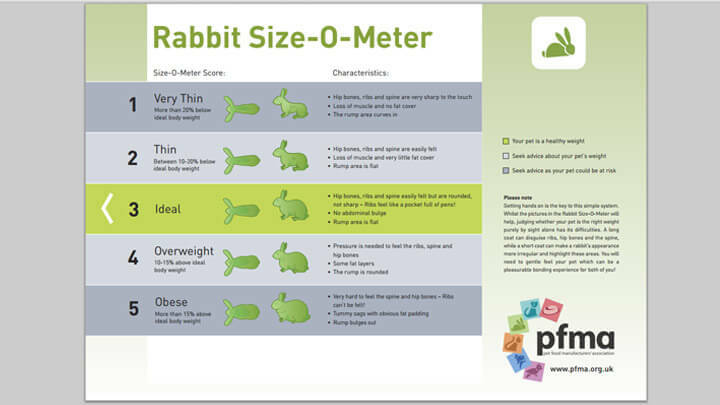 Don't forget to use in conjunction with our other tools including the food diary, weight log and family pet pledge.